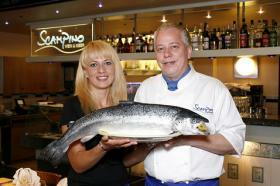 Top fish restaurant with Mediterranean flair. Watch delicious dishes prepared before your eyes in the open kitchen. A generous selection of freshly caught fish and seafood is on offer daily, with every day's up-to-the-minute menu displayed on a slate. The light-flooded rooms in a contemporary "less is more" look with bare wooden tables and skilfully orchestrated colour accents exude Mediterranean flair. Guests can watch the chef working his magic at the stove in the open kitchen. 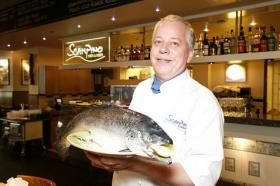 The large list of expertly selected wines gives the fish its due. Spacious terrace with river view on the Rhine. 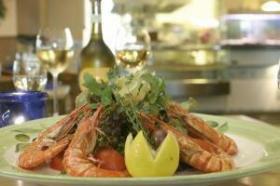 A table reservation or the booking of a menu/ offer is in the "Scampino" via GlobalGuest always for free you as a guest!